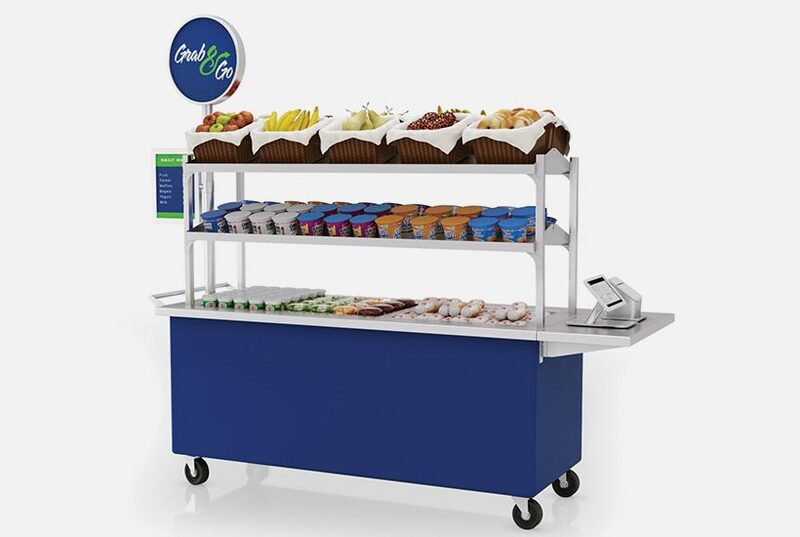 Mobile Foodservice Carts & Kiosks | LTI, Inc.
One of the best ways to increase participation among your customers is to implement a Grab ‘N Go solution. 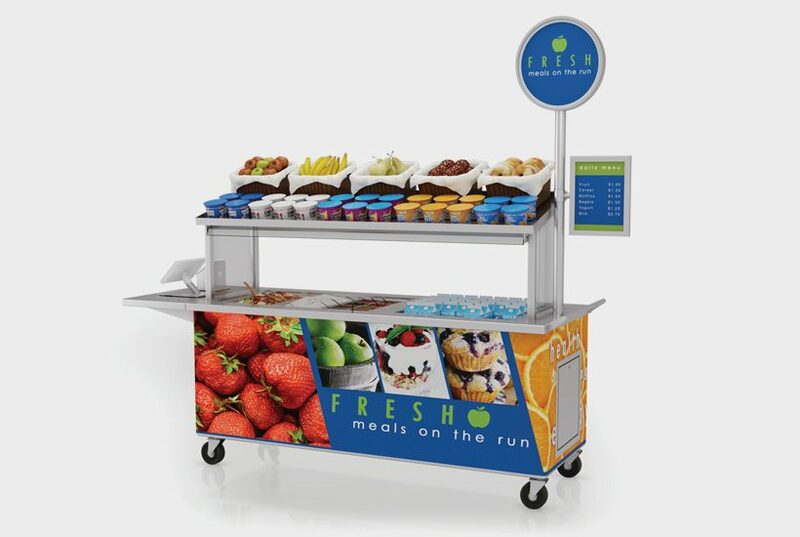 If increased breakfast or lunch participation is your goal, we have a mobile cart to help you succeed. 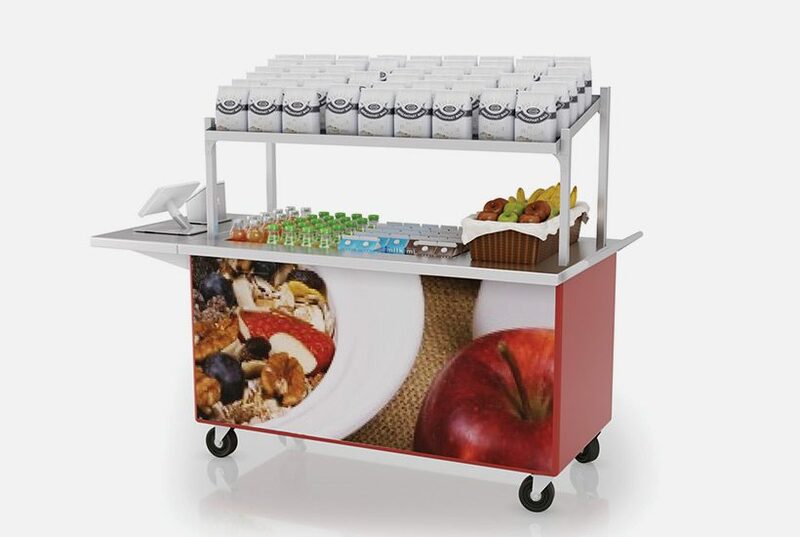 Carts provide an excellent way to serve up to 250 snacks, breakfasts or lunches efficiently and when space is limited. 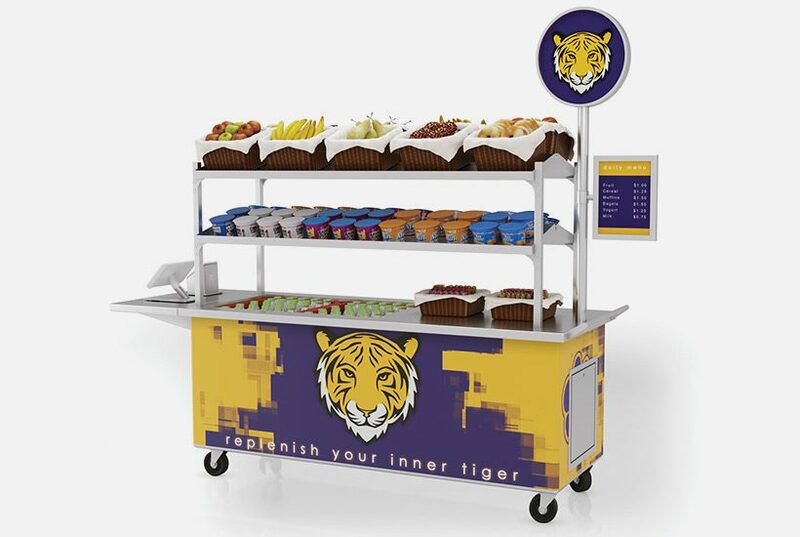 Check out our Grab ‘N Go carts. 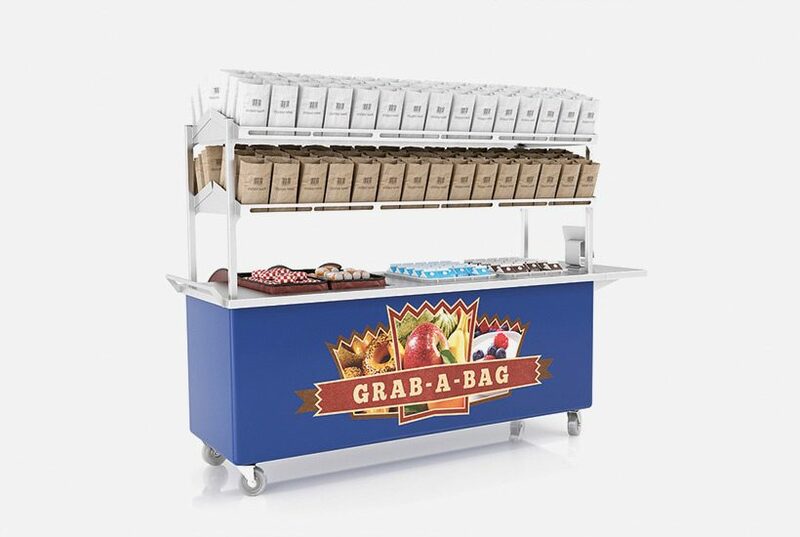 From a Grab-a-Bag cart to a High-Volume Breakfast cart for your coffee shop, school, bakery or hotel lobby, we have you covered. 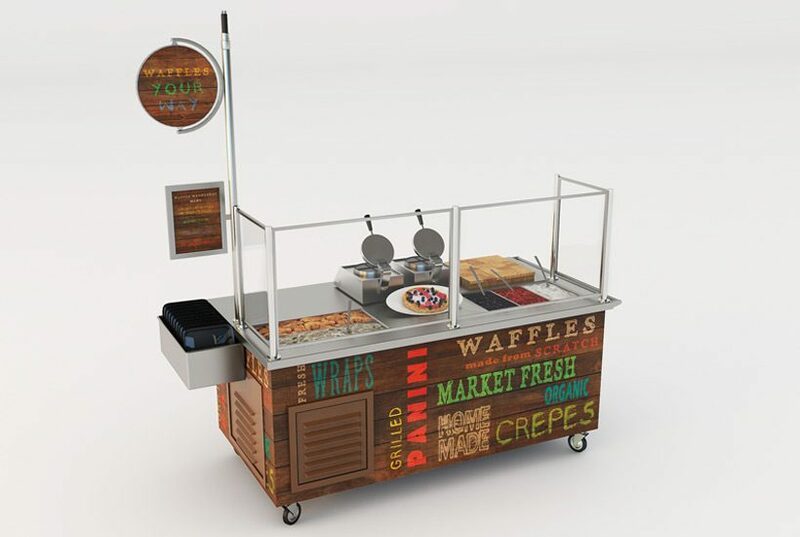 And these carts and kiosks can be outfitted with our patented QuickSwitch™ serving technology or ceramic glass merchandisers. What differentiates LTI’s carts from others? They’re made of molded fiberglass and stainless steel – incredibly durable, outlasting any plastic or laminated unit out there. They’re super easy to clean and look new for 20 years (and beyond). They come with a 5-year warranty against cracking or splitting. 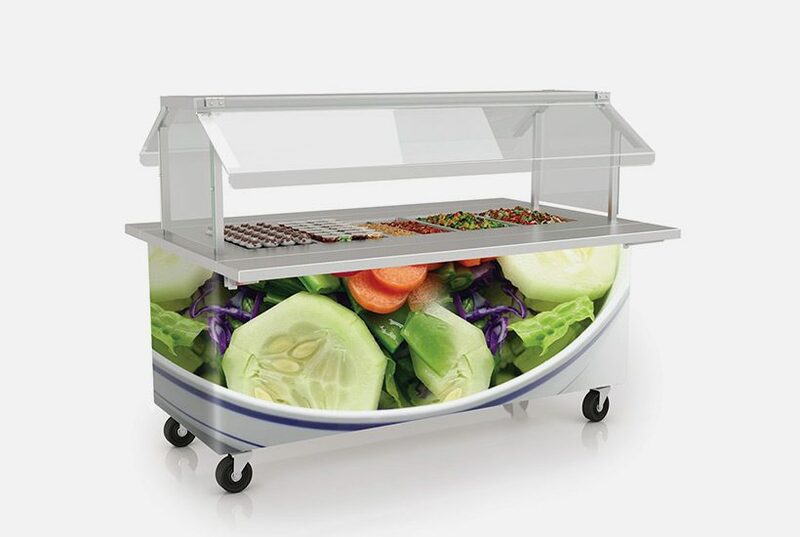 Our new Fresh ‘N Ready Food Bar is a 5-pan seamless fiberglass and stainless steel cart. The standard two-sided model maximizes access and is an affordable option. Contact your LTI Rep today to learn more or to place an order. 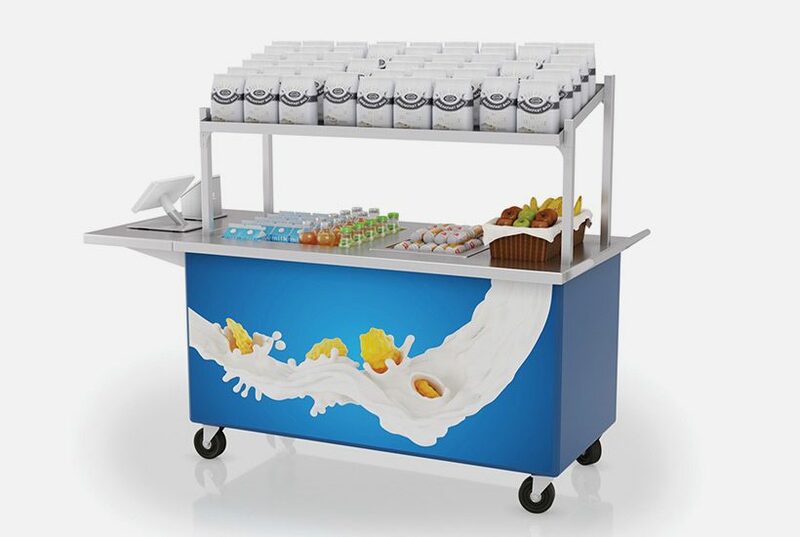 Did you know that serving breakfast in remote locations with grab and go style can increase participation up to 50%?